We are proud to offer this unique package, which lets you experience a whole lot of Montana in a short amount of time. 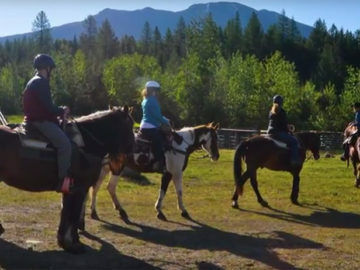 Guests will check in at 4:00pm at the Crown of the Continent Discovery Center and enjoy a leisurely one hour horseback ride from our West Glacier Corral. 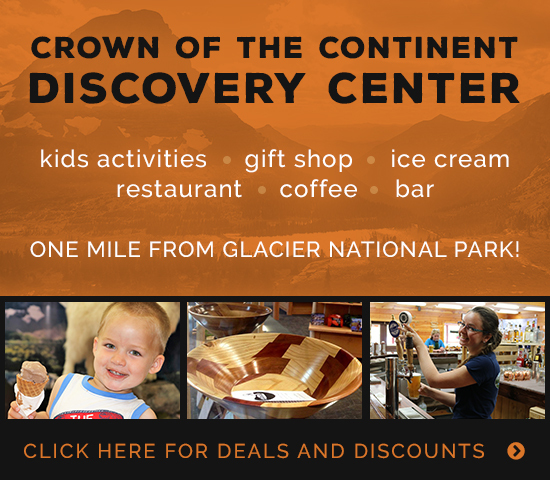 Upon returning to the Discovery Center, guests will enjoy a hot home cooked meal and a glass of Huckleberry Wine. (Don’t worry beer lovers! You can substitute a pint of locally brewed beer for the wine).